Many Scientific studies reveal a body of knowledge invisible to human eyes. For the first time in human history, the JPL Juno mission in 2011 will particularly enable people to see underneath the clouds of Jupiter with an orbiting spacecraft. Working with Dan Goods, Visual Strategist at JPL, we have been developing an installation communicating the scientific aspect of the Juno mission to general public. 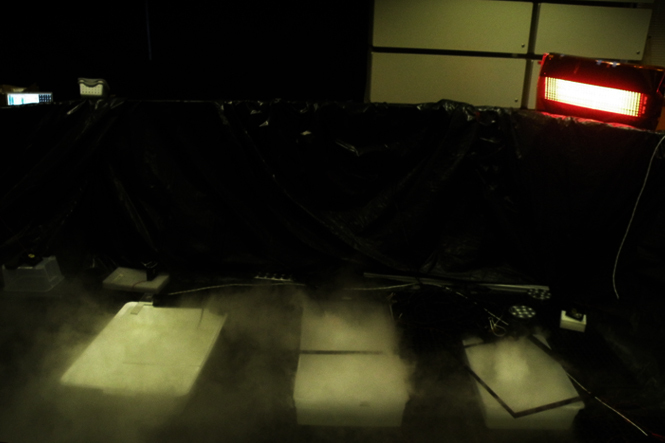 The goal of my research was to create a variety of visual effects using a matrix of infrared illuminators and I/O controllers submerged below a dense fog filled in a large container. 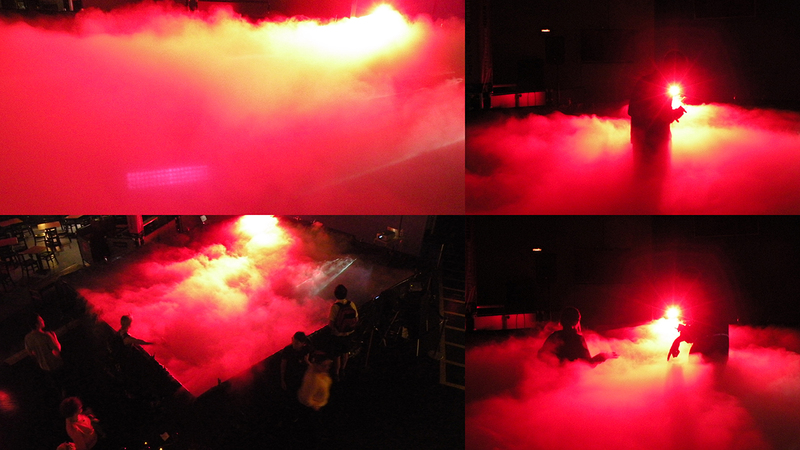 In September 2010 for the After Dark, Cosmological Constructs we have installed NASA JPL's Jupiter Fog, at the Exploratorium: The museum of science, art and human Perception, San Francisco, CA, US. 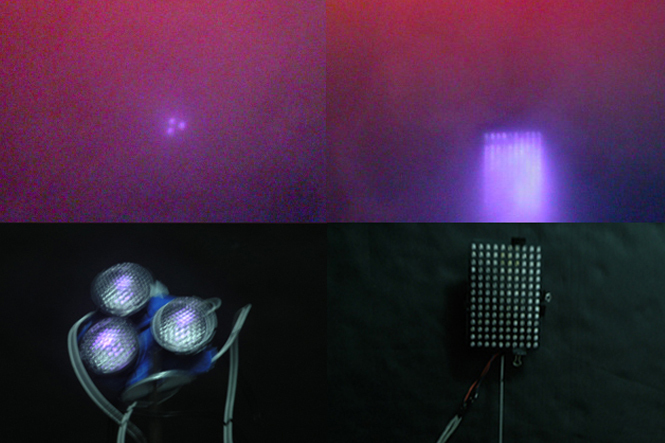 The installation simulated Jupiter’s environment and promoted Juno mission goal of peering through the atmosphere to observe internal structure of the planet. This research's objective was to generate speculative ideas and suggest interesting aspects about the mission. 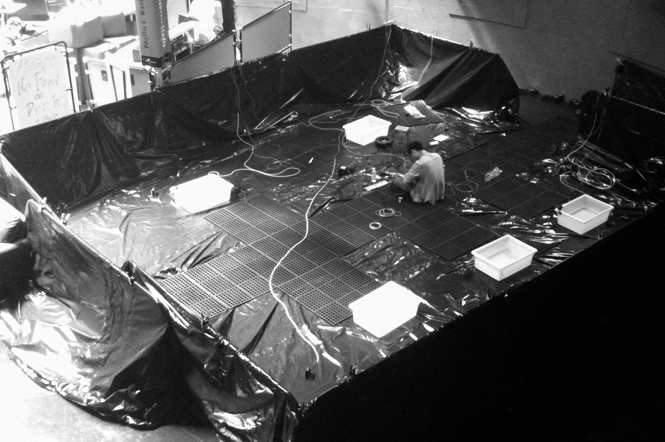 The purpose of the installation was to enable people to experience interesting aspects of the Juno mission. We were inspired by Juno mission goal of observing closely through the clouds of Jupiter to learn the internal structure of the planet. 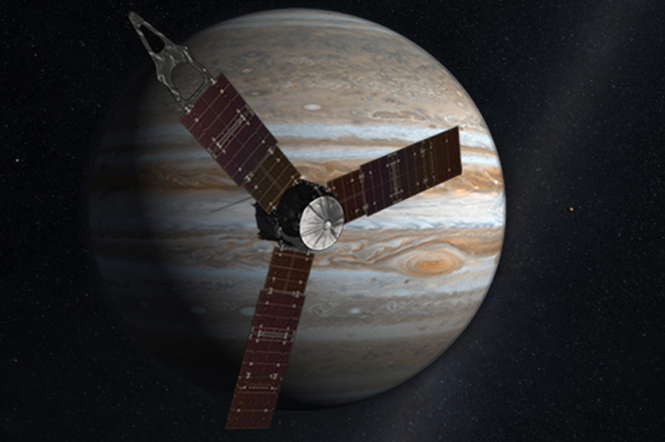 Juno will reach the mission science goal by using an orbiting space craft that will use infrared and microwave instruments to measure energy coming from deep within Jupiter’s atmosphere. Comparable to the way in which Juno mission uses technical devices to understand Jupiter, our installation aimed to create a hands-on experience of using modern technology to reveal different layers of knowledge invisible to human eyes. 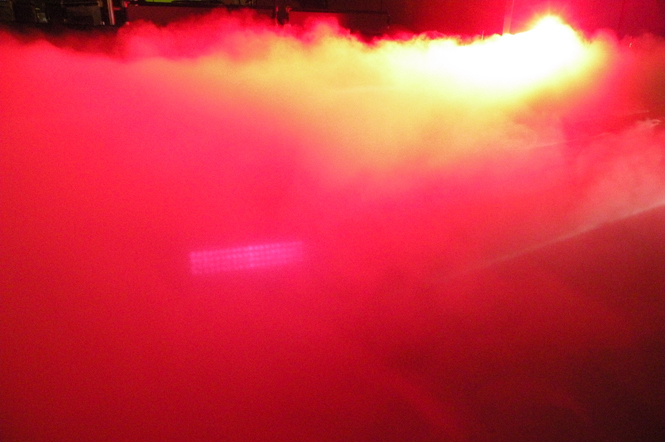 Underneath the installation’s active, dense fog that resembles the appearance of Jupiter’s cloud, we planned to have a matrix of infrared illuminators generate interesting visual effects. 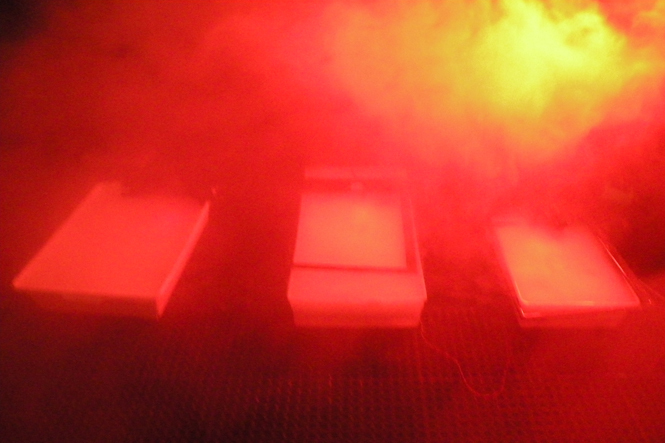 We have been conducting series of experimentations that aimed to create an active, turbulent fogs that resemble the clouds of Jupiter. 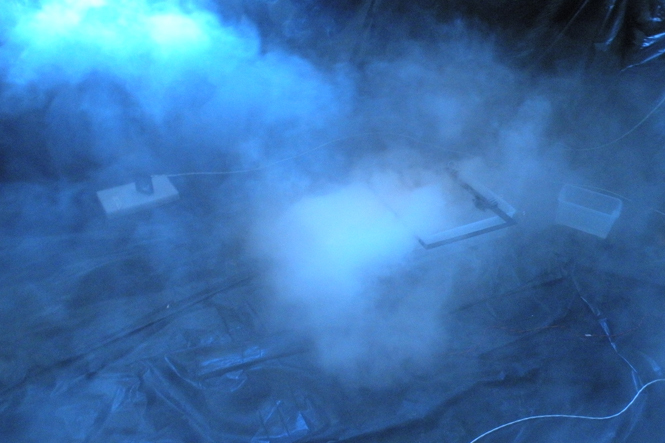 Currently, the prototype installation uses ultrasonic water foggers that fills a container pool (length 9.5 feet, width 14 feet, height 3.4 feet) with dense fog. 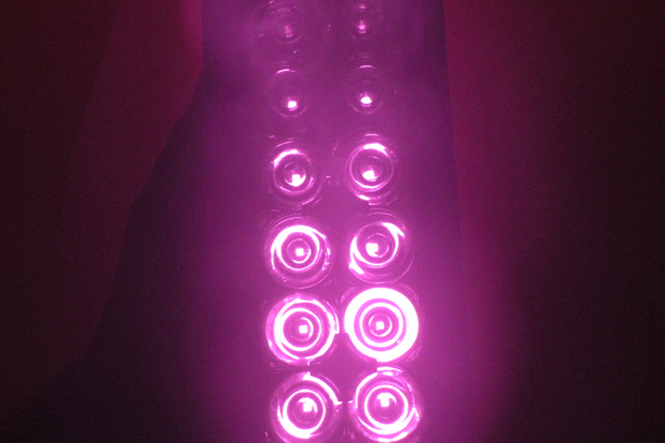 Within the container, six controllable DC brushless fans generate a circular air flow to maintain the density of the fog. 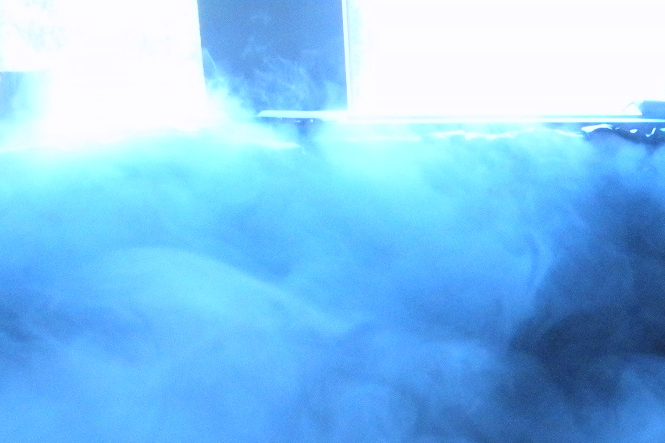 I created an additional fan control system that creates a linear air movement that make the fog rise upward repeatedly after a certain time duration. 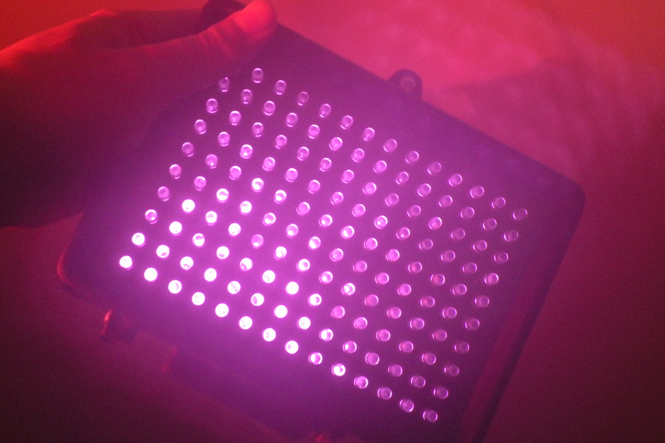 After the investigation, we obtained several types of infrared lights and looked into finding the most effective one for the installation. 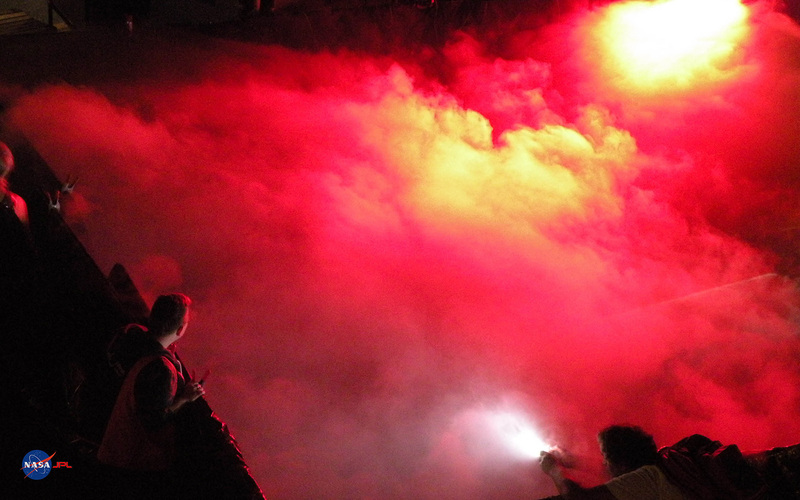 Our challenge was producing an intriguing visual effect of infrared illuminators underneath the fog. 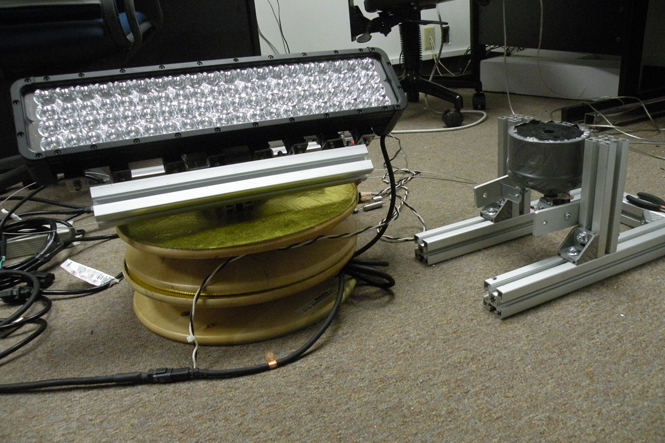 The research was a study of generating interesting movements of the infrared illuminators using I/O controllers and heavy-duty actuators, such as gear motors. 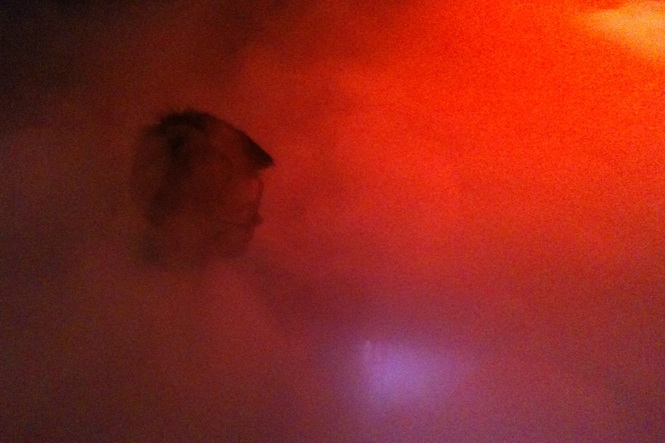 I thank Dan Goods, JPL visual strategist for his guidance on research methods . I also thank Hunter Sebresos and Madeleine Gallagher for early assistance in brain storming. The NASA Space Grant Fellowship work is supported by the fund provide by California Institute of Technology. 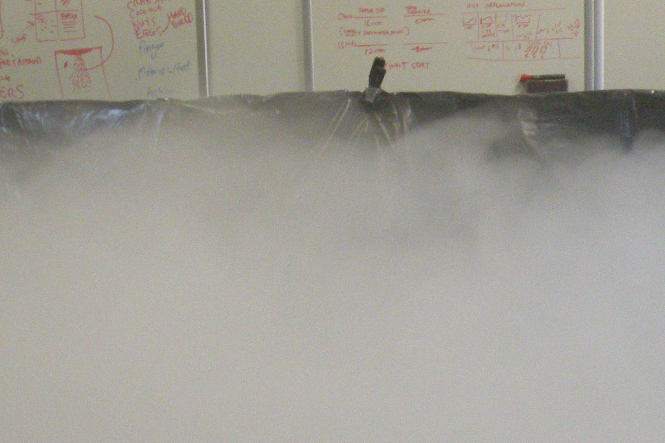 This work used the Jet Propulsion Laboratory Facility at Pasadena funded by California Institute of Technology. National Aeronautics and Space Administration, Jet Propulsion Laboratory California Institute of Technology, Juno Mission to Jupiter. (2009). Michel De Certeau, The Practice of Everyday Life (University of California Press, 1988, Translated by Steven Rendall). Tomas Soderstrom, Manager, IT Chief Technology Office, IT Trends That Matter, Jet Propulsion Laboratory Seminar. (2010).